When all its storm recovery and other hazard mitigation projects are done, more than half of WAPA’s customers will get power from underground facilities, V.I. Water and Power Authority Executive Director Lawrence Kupfer told the governing board Thursday. Kupfer laid out a slate of projects that have been approved under FEMA’s Hazard Mitigation Grant Program, including putting distribution feeders in critical locations underground and developing a micro-grid for St. John, according to a release from WAPA. The total cost of all the hazard mitigation projects is estimated at $572 million. “We have experienced the devastating effects of hurricanes and windstorms, primarily on our transmission and distribution systems. Our goal is to capitalize on the federal funding available to build a stronger system and implement measures to reduce both our response and recovery,” he said. The electronic automated metering system was badly damaged in the storms last fall, so WAPA has boosted temporary staff to manually read customer meters, he said. Meanwhile they are working on getting the automated meters online. “We are now reading about 56 percent of all meters electronically. That number is growing as more and more of the system is rebuilt. A fair estimate is that by the end of May, we will resume a normal 30-day billing period,” he said. According to Kupfer, by the end of June all areas that were illuminated by streetlights prior to the hurricanes will be restored, and by year’s end all street light fixtures will have been replaced. The board voted to extend several big contracts during Thursday’s meeting. It approved a time extension on a contract with Sulzer Turbo Services, the Texas-based company performing maintenance overhaul work on St. Thomas Unit 23. WAPA reports that maintenance has been completed and the unit is now being reassembled. Completion of work has been delayed by hurricane-related damage to some of the unit’s components. The additional work required a time extension on the contract, according to WAPA. The unit’s overhaul contract totals $4.5 million. It also extended and increased contracts with Haugland Energy, adding $7.5 million to their cost. In one case, the board extended and increased contracts with Haugland Energy for hurricane-related debris removal and final disposal. It extended the contract by 46 days at an additional cost of $3.5 million. It also increased a contract with Haugland Energy to install composite poles and repair wooden poles by an additional $4 million. The board approved an increase of $1.4 million to a similar contract with BBC Electric Services. According to WAPA, all the hurricane-related repair work is reimbursable by FEMA as part of the overall restoration. 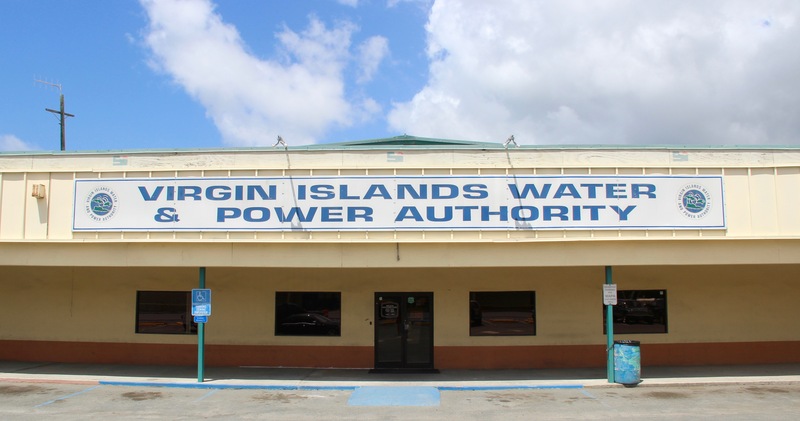 In other action, the governing board approved repairs to several water tanks for the potable water system in St. Thomas and St. John, amended the scope of work for the installation of water booster stations on St. Croix, and ratified a change order to an existing contract for a water project in Orange Grove, St. Croix. Additional funding was required to satisfy conditions of a road excavation permit as it pertains to resurfacing the roadway once work is completed. Some of the water projects are funded through a grant from the U.S. Environmental Protection Agency. Board members present included Chairwoman Elizabeth Armstrong, Vice Chairman Noel Loftus, Secretary Juanita Young, Licensing and Consumer Affairs Commissioner Devin Carrington, Public Works Commissioner Nelson Petty, Internal Revenue Bureau Director Marvin Pickering, Gerald Groner, Cheryl Boynes Jackson, and Hubert Turnbull.